Known to locals as “up north,” the beaches up here range from condo-lined coves to ruggedly beautiful shorelines. Napili and Kapalua are the most popular, but once you pass the manicured entrance to Kapalua resort the coastline gets wild and the crowds start to thin. Winds can be gusty in the afternoons and surf can be large from October-March. The beaches in Ka‘anapali are long, wide, and lined by resorts. It's where you go to see and be seen. Much like Kapalua, however, the wind can be a factor in the afternoon so schedule your water activities for the mornings. Lahaina's beaches are the most underrated on Maui. The swimming is poor due to the offshore reef, but they are sunnier, less crowded, and more protected from the wind than most other beaches on Maui. If it's raining in Kapalua or Napili, or windy on Ka‘anapali Beach, 90 percent of the time it's going to be sunny and calm down here in Lahaina. There are zero resorts on this roadside stretch of shoreline. 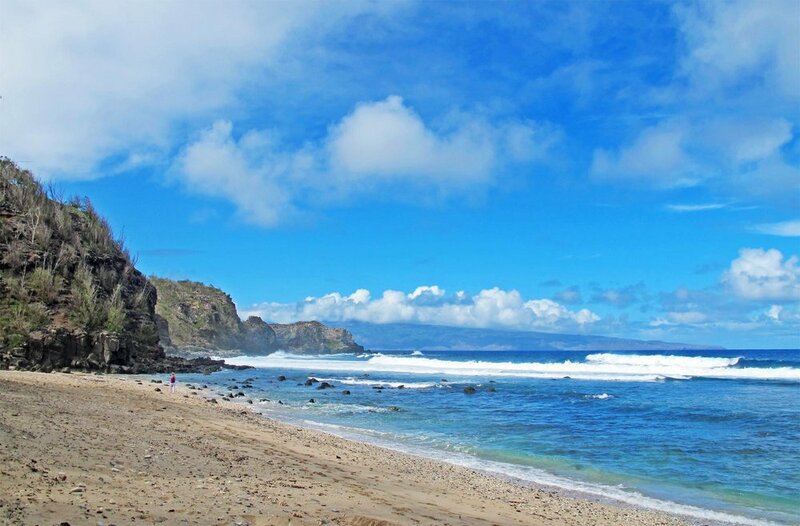 Paddleboards and fishing poles rule this sandy section of coast, and though the swimming is poor at most spots, Olowalu offers good snorkeling. Most visitors choose to pass these beaches by without giving them another thought, but if you do decide to pull over to watch the whales, visit the beach, or photograph the sunset, avoid stopping in the middle of the road (since it majorly backs up traffic).